Celtic Gold Thistle Cufflinks are the perfect clothing accessory for formal occasions, parties or Weddings. 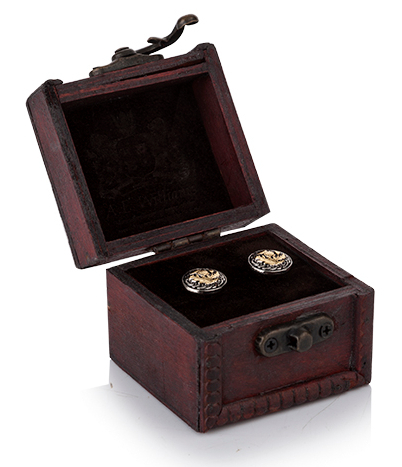 They come complete in a beautiful wooden trunk for safe keeping. An Ideal gift for friends or a loved one.